Supriya and Jagriti discuss the questions related to Engineering. Let us check their conversations and get some insights. Supriya: Hi Jagriti! How are you? Long-time no sees. Jagriti: I am good. How are you Supriya? I know it’s been long. Just been busy with my son’s studies. He is appearing for his class 12th examination this year. Supriya: All are fine. Thanks. That’s great! How is his preparation going on then? Jagriti: It is going well. He is thinking of pursuing engineering after his 12th standard, in college. Supriya: Oh! That’s really a trending field for science students. So, he must be working really hard to achieve his goals. Jagriti: Yes he is! He has joined a coaching institute and studies at home as well. Supriya: So what field of engineering does he want to study? You know that’s a crucial decision to make. Jagriti: Indeed. He says he is still making up his mind. I just wish that I could help him out somehow but I myself do not know much about engineering and its prospects. Supriya: Well, I can help you out in that case. My niece has recently joined a prestigious engineering college and I will be happy to help. 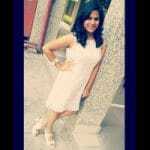 Jagriti: I would be grateful to get your help! 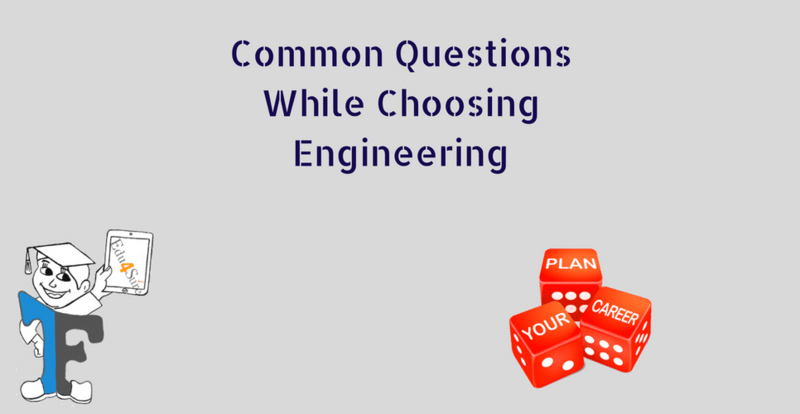 So how does one decide on which field of engineering one should pursue? Supriya: Well the best method is to question yourself! What are your interests? What do you want to be? Where do you see yourself in 10 years? Above all, what are you really passionate about? There are many courses in engineering. For instance, civil engineering, mechanical engineering, electrical engineering, electronics and communication engineering, electronics and instrumentation engineering, computer science engineering, information technology engineering, biomedical engineering, petrochemical engineering. Jagriti: Wow! I had no idea that there were so many options. How do you suggest we narrow down our choices? Supriya: It’s going to be a tedious task but the outcome will be good. Here’s what my niece did, you need to check out the syllabus for these courses and then decide. You need to see what are the subjects offered and whether they are matching with your son’s interests. In addition, do not follow someone else blindly. Take the help of internet and guidance from your son’s teachers. Jagriti: Surely I will take your advice and see what is best for my son. I know that there are many colleges for engineering nowadays and many different entrance exams as well. My son has applied for many entrance exams like JEE (Joint Entrance Exam Main) mains, BITSAT – Birla Institute of Technology and Science Aptitude Test, VITEEE – Vellore Institute of Technology Engineering Entrance Exam, MU OET – Manipal University Online Entrance Test, IPUCET (BTech). Supriya: That is nice. By appearing for these entrance exams your son will be eligible for many colleges which take the result of these entrance exams into consideration. You should keep a note of all the important dates and be aware of the counseling schedule. Jagriti: Yes, I know. I have made a separate journal and keep all the details in it. But tell me, what is the scope after engineering? Supriya: A students can take up a job after completing engineering. There is no need to worry about jobs as there are plenty of opportunities. One may even go for a postgraduate course. Students interested in higher studies can do their masters or even do an MBA. In the end, it depends on the person and his caliber. Jagriti: Yes your right, hard work plays a key to success. What about the salaries? Are they good? Supriya: Yes, they are pretty good. In private sectors you will get 15,000 to 25,000 as starting salary but once a person gains experience and gets a promotion the salary increases depending on his seniority. Jagriti: That is good to know! I have read in newspapers of students being offered packages of more money. How does one improve his chance of getting a good package? Supriya: Well it is better to prepare a good resume for that. Add as many extra-curricular activities to your college life. Also, work on different projects of your interests. Take up internships to have an edge above other students. This way you improve your chances of getting selected and also getting a good package. Do not stay average. Jagriti: That is a great advice Supriya! Supriya: He can also do a course in various fields related to his engineering. Since many institutes and even colleges offer short courses during the summers. Jagriti: Thanks for all the information Supriya. This will definitely help me guide my son for a brighter future. Next articleCan Blogging Be A Full Time Job?